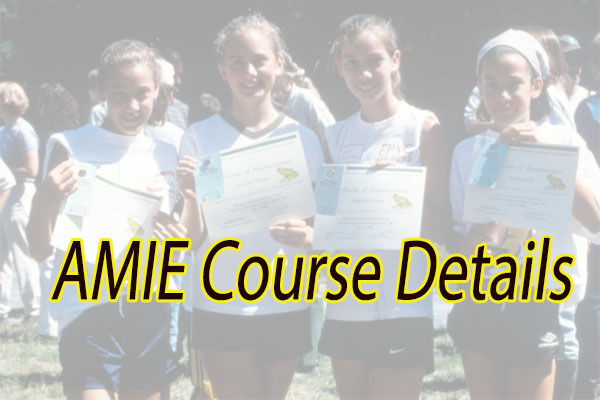 AMIE Course Details - Eligibility, Fee, Exam Pattern, Syllabus, Streams, Exam Centers and etc. AMIE is nothing but “Associate Member of the Institution of Engineers“. 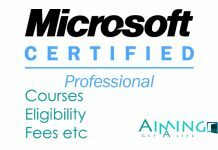 We can say that this course AMIE is a professional certification. This certification will be issued by Institution of Engineers (India). AMIE course is having totally 2 sections. 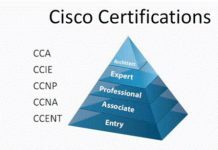 If an interested student can pass all the subjects in both the sections then that candidate will become an Associate Member of the Institution. We can say that both AMIE and B.Tech are same. In this posting, you can find all the AMIE Course Details like AMIE Full Form, Eligibility, Exam Process, Syllabus, Admit Card, Diploma Streams, Non-Diploma Streams, and etc. Aspirants need to complete their 3-year polytechnic course and its equal to any branch of engineering. For the admission process, there is no restriction of marks score. Need 45% of marks in +2/HSC/PDC with Mathematics, Chemistry, and Physics. 18 is the minimum age limit on the date of application for selection. For applying this AMIE exam the following steps to be completed. Application Form Filling: Interested candidates need to fill the application form with their details like Name, Age, Mobile Number, Email Id and etc. correctly. Photograph and Signature Upload: After the completed filling of personal details of a specific candidate and next they need to upload their recent passport size photograph and signature. Online Application Form Submission: After the completed filling of all details and uploading photo and signature candidate can submit the online application form to a prescribed E-mail address or to the official address of exam conducting authorities. Application Fee Payment: This is the last stage of applying form for AMIE examination. Candidates can make their payment by following step by step process prescribed by authority. This payment process which includes credit card or debit card payment for the online process if it is offline process can complete their payment through bank Challan. +2 candidates have 19 subjects have to study whereas Diploma candidates need to study 13 subjects. AMIE Section A Examination: Basic Sciences, Engineering Sciences, and Communication have to be covered in preparation of aspirant and then there is a project which candidates have to complete. Then only respected candidates are eligible to go for Section B Examination. AMIE Section B Examination: For a time period of one year aspirants need to do their project and complete only on the basis of professional competence report aspirants can appear for Section B examination. And this Section B consists of total 10 Papers. In these 10 papers 7 are compulsorily written by aspirants and the rest of 3 are optional. This AMIE exam usually conducts in twice a year in the months of May / June and in November / December. Rs.2000 has to be paid by the interested candidate for appearing this exam. Whereas 150 Dollars is the exam fee for the overseas exam. The admit card for the AMIE entrance exam is available in online in the official website. After the release of notification applied candidates have downloaded the hall ticket and make it safe. 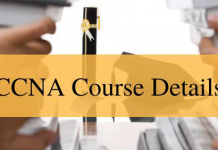 All the above information gives you an idea about AMIE Course Details exam dates, streams, admission process and etc. details you can find here.